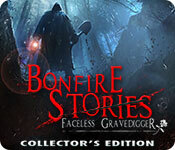 Bonfire Stories: The Faceless Gravedigger Collector's Edition is rated 3.9 out of 5 by 64. Rated 5 out of 5 by RPgames from Faceless Gravedigger looking for you? This game was real fun to play. Not overly spooky to me but a good mystery game. You do search for items but the items you need to find are in the area. Just like most Hidden Object games. I had no problem finding out what to do. Couple of puzzles I skipped since I could not think of what to do but that was me most likely . Interesting story line that made sense. I would not say it was spooky but a little bit of a thriller. Voice acting was good with the old man the best. I didn't play the collector's edition but didn't find the regular game on the list anymore??? I have played both games in this series and like them with this one a little better. It was more believable . When going camping be careful of the grave digger. Rated 5 out of 5 by Bumbles2 from A Creepy and captivating game...well worth purchasing !!! To start with...I have to totally agree with the Beta testers...this is an awesome game and I'm not in the least bit disappointed that I purchased it !!! I had a whole lot of fun with this one...and its an easy one to play !!! You will get clear and concise directions as to which way to go and what needs to be done. 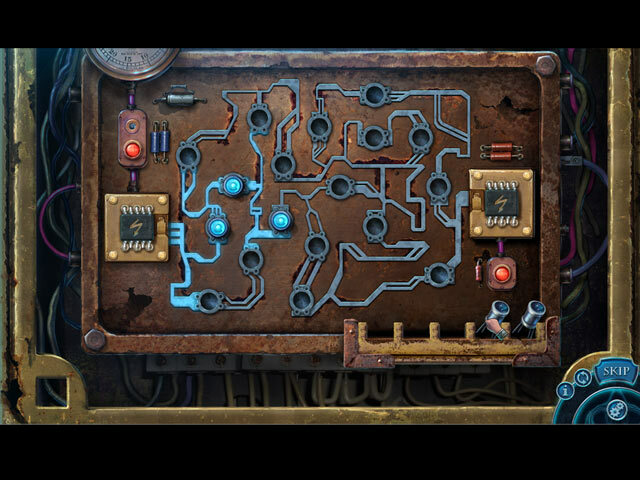 The puzzles are wonderful...not too hard and not too easy, they are quite different too which I enjoyed quite a bit. I really enjoyed finding the paw prints too...some are very easily seen while others you have to really search the scene to find them. The story is easy to follow and captivates you as you travel through the various regions...All I can say is ... its very well done !!! The music is tolerable...and not an annoyance, it actually enhances the area you're playing !!! The graphics are absolutely superb, it just can't get any better than this...its obvious that the artists put a lot of work and talent into creating this game !!! As far as challenges go...this game has a few area's that are quite intense...but most are very doable and are a whole lot of fun in the process of completion. I really enjoyed this game...and I think you will too...try the demo first and I think you'll agree with me !!! Have fun everyone !!! Rated 5 out of 5 by kaytree83 from Makes me want to go camping! I loved this game. Sadly it was way too short, and the CE bonus chapter had the potential to be even better than the main game, but literally took 5 minutes to complete and was not worth it at all. That being said, I still enjoyed it very much and can't wait to see what the next edition in this series will be. This game was also very easy, but the story line was engaging all the way through. It does have a map that lets you jump from one area to another, but I didn't even need it! Each task made sense and didn't send you more than a page or two away from the objects collected. (Thank you writers!) The graphics were wonderful and the collectibles were actually fun to find! The HO scenes also made sense and went with the game rather than being just random item collecting. Rated 5 out of 5 by KyleKirkpatrick from You Better Watch Out... Bonfire Stories: The Faceless Gravedigger Collector's Edition is one heck of a game! The concept is a very interesting one, and one that works out very well. STORY - The main basis of the game (being told as a "story" next to a "bonfire") is there are two journalists who are going in to investigate these disappearances at this closed down resort named Quiet Grove. They believe a group of people known as the "Gravediggers" are responsible for the attacks. Shortly after you get there, your friend gets attacked by one of the "Gravediggers" and it's your job to save her. Yeah... sounds kind of boring but it actually isn't. There are lots of plot twists that keep gameplay fresh and intersting. GRAPHICS/ART-STYLE - The Graphics and Art-Style of this game are nice. I've always liked playing games that take place in old, run-down towns/resorts/whatever and this is right up my alley. Everything looks very nice and you can tell they put a lot of detail into it. SOUNTRACK - The soundtrack is nice, but again not one of my favorites. Could've used a little bit more variety in my opinion. CHALLENGE & GAME LENGTH - The game's challenge is pretty good. Not one of the hardest (or longest) games I've played, but it's definitely not an easy nor short game either. Depending on your skill level, it will probably take you anywhere between 4-6 Hours to complete the main game, and 30 minutes - 1 hour to complete the Bonus Adventure. I took me around 4 Hours and 30 Minutes to complete the main game and 45 minutes to complete the Bonus Adventure (I consider myself an Expert at these types of games.) COLLECTOR'S EDITION FEATURES - You get what you'd expect in a Collector's Edition game in 2017. Strategy Guide, Soundtrack, Wallpapers, Concept Art, Achievements, Bonus Adventure, and so on and so forth. I really like the Wallpapers that come with this game and they look nice on my desktop. 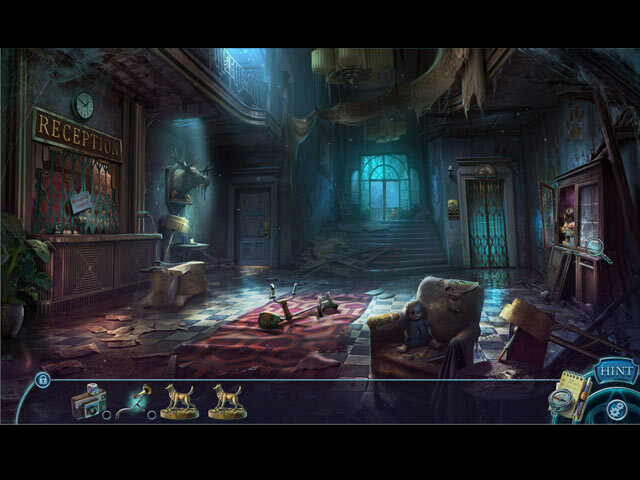 CONCLUSION - A very nice, well put-together HOPA game. Overall a really nice experience and one I might revisit in a couple of years or so. I would recommend this game. Rated 5 out of 5 by Leroi123 from Really Enjoyed it! 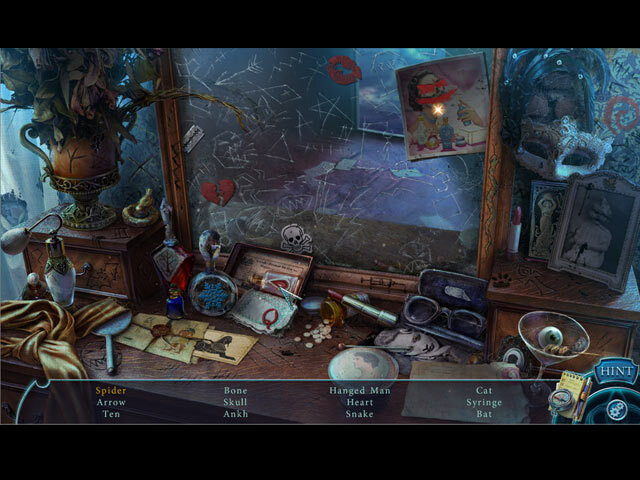 The best of the 15 or so hidden object games I've played. Creepy without being scary, great graphics, and an interesting story. It had it all! I'll check out other games in this series now. Rated 5 out of 5 by BeBopGirlBlues from Nice compared to others Over all, very well done. The graphics were solid and smooth during transactions. You didn't need to really guess what to do next, you just need to remember where items are located. You will do a lot of back tracking if you forget why you picked up a certain item. I personally liked the background story. It was original and I'm glad there wasn't such a, "happy ending". And then in the bonus chapter, it answered the final question that I'm sure many people were asking themselves. Rated 5 out of 5 by msfelixthecatz from To each his own... I read every review of this game. And I played the entire game, including the admittedly short bonus game, yesterday. The two or three games I played before Bonfire Stories were so bad I was relieved when they were over. They had no story line to speak of, tedious busywork, and worse. So when I began Bonfire Stories, the enjoyment factor was huge. Bonfire Story has a story line that unfolds with the game-play, which I appreciate. The atmosphere is perfect. The characters first-rate. I did not experience tedium, as with the other games I had just finished. Yes, there was a broken zipper pull (AND a broken ladder), but they did have the grace to treat the second zipper pull in the Bonus Chapter with humor. I loved that! I do wish the game (especially the Bonus chapter) had been longer, but overall it wasn't so short so as to regret the purchase. Rated 5 out of 5 by lvd333 from BONFIRE STORIES: AWESOME WAY TO START THE STORY, LOVED IT! BULLET POINTS ~ 1. FUN FUN FUN! 2. STORY GRABBED MY CURIOSITY, couldn't wait to see what would happen next. 3. Extremely interactive 4. Not so challenging BUT it was FUN, and sometimes my brain doesn't always want to work so hard, today was that day. 5. Played the Demo....can't wait to get the Game. 6. Kept me busy 7. LOVED the Graphics, the Art is Awesome. 8. FUN FUN FUN Mini games...not to tough, JUST FUN!! Rated 5 out of 5 by EzgiMelody from Awesome ! I Just LOVE it !! I suggest this game to everyone !! Rated 5 out of 5 by JessF from Something a Little Different I really enjoyed this. The story line was different and some of the HOGS had a twist I have not seen. However, I found the bonus game very, very short.